Today was a pretty quiet day. I woke up, went to class, picked up some takeaway Pho on my way home, ate the Pho at home, took a short nap, went to another class, walked to the YMCA, worked out for a few hours, came home and stir fried shrimp and vegetables for dinner, relaxed and did some laundry. Definitely the Pho. I pass by a small takeaway Vietnamese restaurant, Cafe Vn, every day on the way to class, and today I decided on a whim to try it out. I got the daily special, the beef brisket Pho. 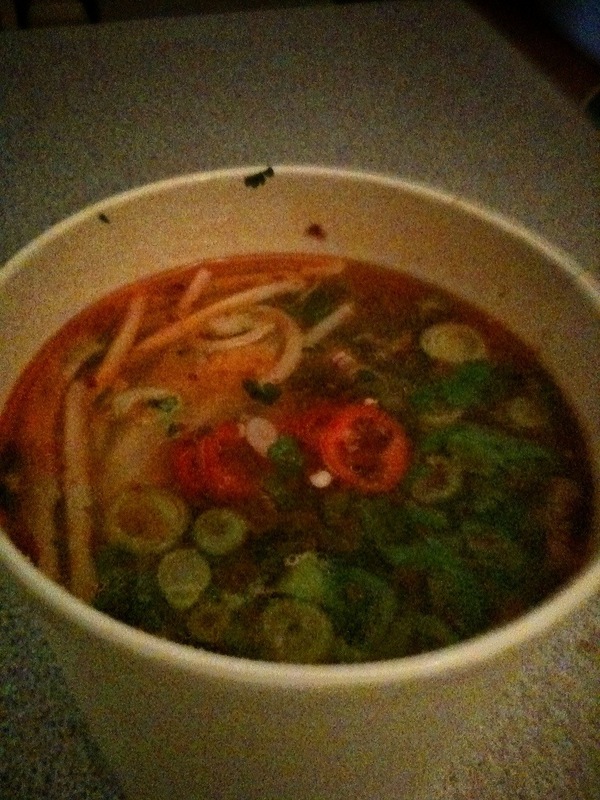 I got nearly a quart of delicious Pho for only five pounds, which is an awesome deal. For those who may not be familiar with the dish, Pho (pronounced “fo”) is a traditional Vietnamese dish comprised of meat (usually beef) and rice noodles in a spicy, clear broth. Various garnishes are added just before being served, including bean sprouts, basil, peppers, green onions, and more. Today’s Pho was incredible. The broth was deeply flavorful and the beef and noodles were infused with the spiciness of the chili peppers. The added bean sprouts, chilies, and green onions gave the dish some great crunch and rushes of flavor. I loved feeling the spiciness of the Pho build up; the heat of the chilies completely cleared out my sinuses, which felt great for the rest of the day. I was so pleased with the great value and even greater taste. 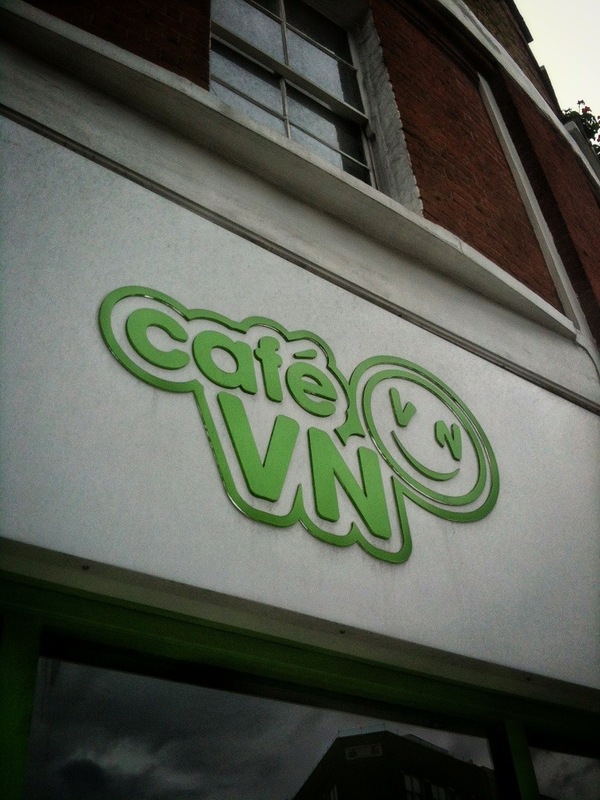 Cafe Vn is definitely going to become a regular stop for me when I need my Pho phix. Thanks Grandma and Grandpa! I miss you too! I love you! Thanks so much, Ms. Milburn! I miss your class! The sandwich essay is still one of my favorite pieces of writing I’ve done yet. Thanks for helping me shape it!